Earth Day was founded by United States Senator Gaylord Nelson as an environmental teach-in first held on April 22, 1970. Nelson was later awarded the Presidential Medal of Freedom award in recognition of his work. We firmly believe source reduction should be practiced. But, unlike our competitors, we don’t just lightweight products for the sake of light weighting. We do not believe our customers want to sacrifice functionality for a lighter and cheaper part. We therefore achieve source reduction via other means such as product design and R&D work. Smart Set Pro is a source reduced product made of Genpak’s exclusive textured, polypropylene material. Not only is the product stellar in its performance, it is also made 24% lighter without any compromise to product functionality. Recycling is one of the most common ways to conserve the enviroment. We implement that responsibility through the use of curbside recyclable products. Our clear packaging solutions make all the difference as they are made of PET plastic and up to 30% post-consumer recycled content. Our polypropylene products like Clover, ProView, and Smart Set Pro are also curbside recyclable. So not only can they be enjoyed at your favorite establishment, or on-the-go, once finished they can be thrown in your backyard recycling bin and will be accepted by recycling facilities. Reuse is an essential way to minimize the amount of waste affecting our world today. Genpak’s mirowavable, dual ovenable, and deli, containers can be reused for storing items and are washable. Genpak was one of the first companies back in 2007, to start utilizing post-consumer content in the production of our clear P.E.T. products. On average we use over 10.5 million pounds of post-consumer material per year. The Green Room is Genpak’s #1 information source for issues, concerns and steps we have taken and are currently taking to continue to be responsible stewards of the environment. For more information on our products, click here. The food packaging industry has evolved over the years, in efforts to keep the balance between convenience & sustainability. 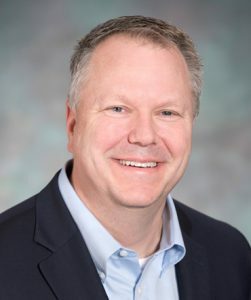 We’ve come to a place in our industry where a lot of information that is disseminated has resulted in a countless number of questions raised and factual information being compromised. This pool of scattered information finally lines up in a list of 7 myths & facts behind food packaging, thanks to the latest report from Foodservice Packaging Institute. With plastics, composting, the Great Pacific Garbage Patch, and everything under the sea – all the answers to your most anticipated questions can be found here. According to the EPA, plastics (that’s all plastics) account for only 12.8% of all MSW. When you break it down even further to foodservice foamed polystyrene, it accounts for less than 1% by weight of all materials in landfills. 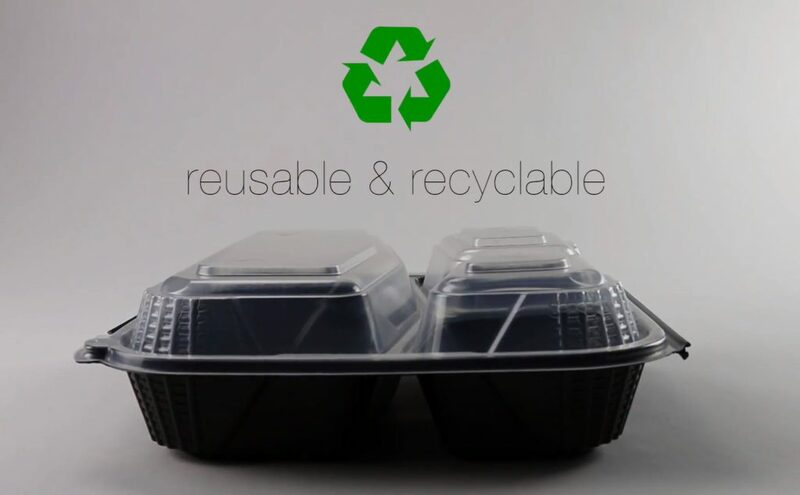 Polystyrene, which carries the plastic identification symbol is a type of material we use to produce a host of products including Foam Hinged Dinner and Snack Containers along with several varieties of Plates & Bowls. This versatile material can come in a foamed or a solid format. Polystyrene can, and is being recycled at many locations throughout the United States. Compostable refers to a natural process where organic waste materials decompose into a substance called compost. This substance is full of rich nutrients that can be used as soil conditioner. The process involves closely controlled heat, moisture levels, and carbon dioxide which accelerates the composting process. 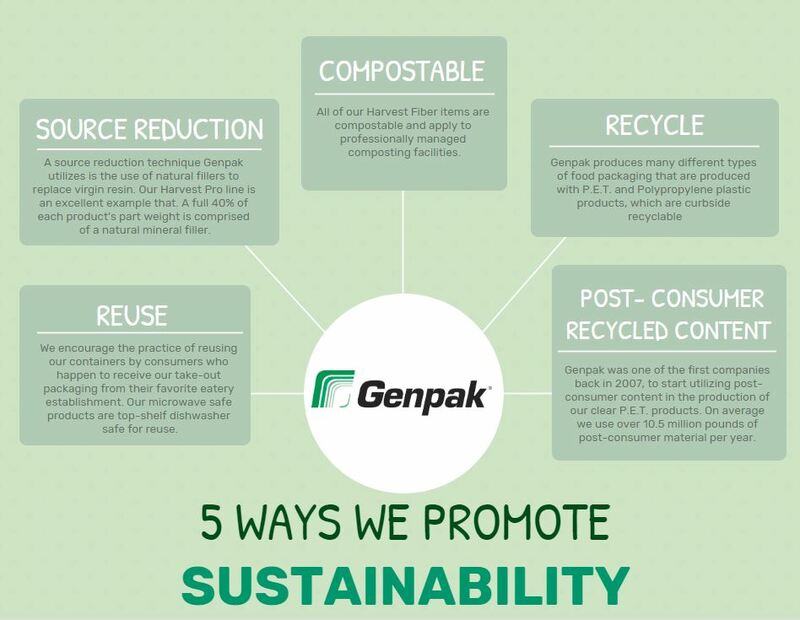 Genpak’s compostable material is known as bagasse. It is a renewable, fast-growing resource that breaks down the best in professionally managed compost facilities. All of our Harvest Fiber items are compostable. Please keep in mind that these compostable claims only apply to professionally managed composting facilities and not your backyard compost pile. To find a composter near you, just visit findacomposter.com. If you happen to throw an item that is sold as compostable into your backyard compost bin, it may take a very long time for the composting process to occur. A professionally managed facility very closely controls the heat and moisture level of the material which aids and accelerates the process. Drug Administration and Health Canada review any chemicals that could possibly come in contact with foods” Our products are used in situations where hygiene is of the utmost importance such as in the food services. They also meet very stringent FDA standards for use in food contact applications. Styrene is a naturally occurring substance which is present in many foods such as wheat, beef, strawberries, peanuts, coffee beans and cinnamon. Fourth of July is right around the corner, and you can show your pride with Genpak’s Pride in America branded foam container. Enjoy your most craved all-American foods in a container that is sustainable and perfect for convenience. As the first industry supplier to print a hinged container, we developed this container as a festive way to enjoy the holiday. With venting capabilities and temperature control technology, you can maintain fresh food throughout the midsummer heat. 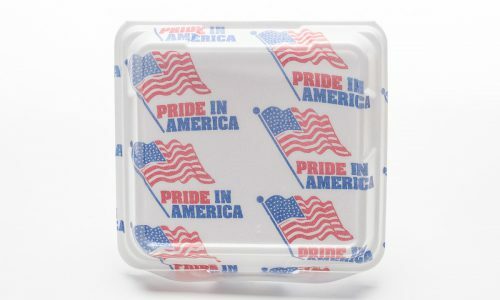 The Pride in America container features a double lock or Snap-It® closure to prevent accidental spills. It also offers up to 3 compartments to fit and preserve extra food choices all in one container. If you’re looking to use multiple containers to-go, this container’s stackable feature and vented lid technology makes the take-out experience most convenient. Want more details? Check out our decorating guide to see stock and custom decorated options available. Don’t forget to join us on our social media platforms for a chance to be featured on our page! You can find us on Facebook, Twitter and LinkedIn and simply hashtag #GenpakAdvantage to your next post! Plastic products always seem to be in the cross-hairs these days. But think for a moment about all the wonderful uses plastic products have in your daily life. Some of the less obvious places where plastics play a major roll are in items such as your car, shower, tooth brush and computer just to name a few. Other, more critical uses for plastics are in the medical industry such as the tubes that carry life giving medicines to your body and even prosthetic limbs. On that prosthetic note, check out this video about a great man who uses plastic to make prosthetic limbs for animals. This is just about the most heart warming video I have seen in a very long time. If you do not crack a smile when this dog walks for the first time on that artificial limb, there is something seriously wrong with you! Enjoy. More absurdity regarding foam containers. Sometimes you just need to make fun of the absurd! Foam food packaging has been used safely for over 45 years. 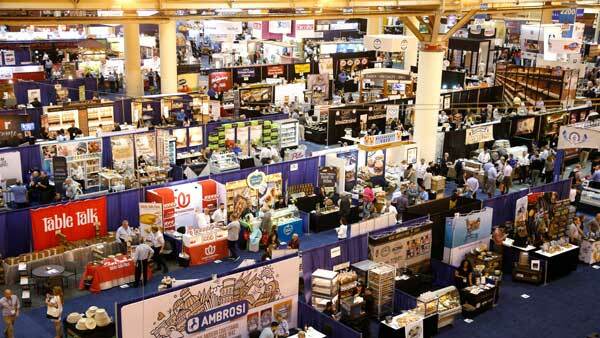 Foam food packaging is still the most economical choice of any material out there. Alternatives or biodegradables disposed of in a landfill will not “go away” in our life time. Alternatives or biodegradables littered into the environment will not magically go away. In communities that have banned foam, studies done afterwords show the amount of litter had not decreased, but rather only the type of litter changed. As I’ve said many times in this blog, if consumers want to switch away from foam, then so be it. That’s how supply and demand works. In fact we offer a whole host of alternative packaging options. But let the consumer make that decision instead of forcing a change down their throats with legislation and fear mongering. Cheers to Harris Sukita owner of Simply Ono lunch wagon and Jennifer Hino who sells specialty desserts in Hawaii, for standing up to big brother government out there. It seems that City Councilman Stanley Chang is trying to strong arm them into using one type of food packaging over another. Mr. Ono and Ms Hino both call out valid reasons why this “law” would hurt their businesses by means of lost profit and poor product presentation. Mr. Ono stated it best when he said, “When government starts telling me that I have to start giving up some of my profit to put into somebody else’s pocket, that’s when it becomes an issue”. Well said sir! This is yet another prime example of a grossly misinformed politician who is trying to score cheap points by targeting small business owners. Councilman Chang points out that foam food packaging will not breakdown in our lifetime. Perhaps Mr. Chang should do his homework on modern day landfills. They are designed so nothing breaks down…not even organic materials. Also, as the opponents to this bully in the hallway bill point out, most foam food packaging is turned into electricity at HPOWER along with other refuse. Mr. Chang also claims that foam food packaging contains an substance that may cause cancer. This again is a typical scare tactic used to frighted and intimidate people. Foam food packaging has been used safely, with zero incidence of cancer for over 40 years. What more proof does he want? It’s like saying I won’t drink water because it contains two hydrogen molecules and I’m worried I will explode if I drink it. It’s absurd as is his bill. Again, I’m not against compostable food packaging. Far from it. At Genpak we sell our Harvest Fiber & Harvest Paper products by the truckload. What I’m against is the government telling us what we can and can’t use to serve food in. This should be decided by the food operators and their customers. If the desire is to move from one type to another, fantastic. I’m on board. But when big government moves in like Mr. Chang is doing, and starts strong arming its citizens, that’s when it becomes a problem. Keep up the fight Mr. Sukita and Ms. Hino!